Join me and the Malverne Public Library on Thursday, March 21st at 7:00 P.M. as we celebrate Women’s History Month AND the 200th Anniversary of Pride and Prejudice. 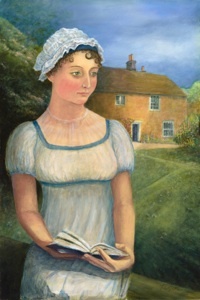 It’s sure to be a delightful evening as we discuss the heroines of Austen’s six completed novels: Elizabeth Bennet, Anne Elliot, Fanny Price, the Dashwood sisters, Emma Woodhouse, and Catherine Morland (plus a few non-Austen heroines that are just too brilliant to be ignored). Joining us this year will be friend and musician, Kelly Tanza AND friend and thespian, Maureen Rogers. Be sure to reserve a seat here! No joke. What’s Austen without a nice cuppa tea?